Copyright 2015 Chris Hedges. First published in TruthDig. 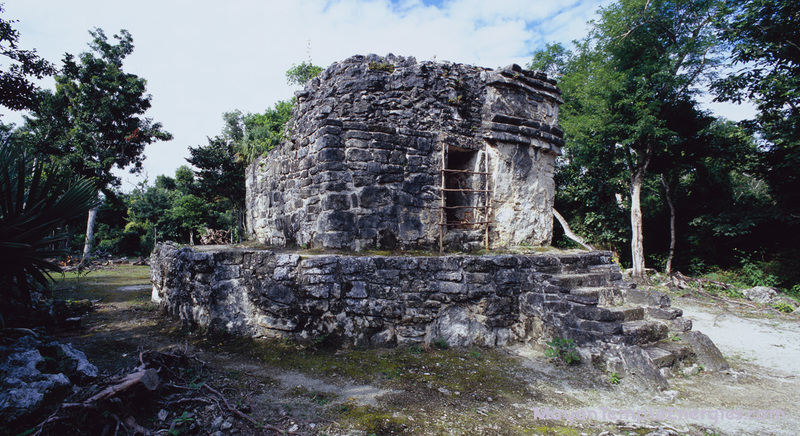 Ruins of the Palace at the Mayan site dedicated to Ixchel. Cozumel, Mexico. Time passes and we fall farther and farther behind in our ability to slow climate change. Up to this point the human species has not reduced CO2 emissions in any meaningful way and today CO2 levels are the highest they’ve been in at least 800,000 years, likely tens of millions of years. We are redefining Earth, creating a new planet that will grow more and more hostile to humans and other living creatures. Why? Because we don’t care enough to change. Super and compelling piece; thank you for posting this. Hopefully we as a species will begin to pay heed. This is clear and compelling. Making great sense to some of us. But how to open the minds and hearts of those you refer to as the happy climate deniers? Many issues have legitimately different sides. But climate change is not one of them. Sadly, it appears the clearer the facts that support the need to pay attention and act, the stronger the resistance. This entry was posted on September 12, 2017 by Vox Populi in Environmentalism, Opinion Leaders, Social Justice, War and Peace and tagged Chris Hedges, environmental Protection Agency, Federal Emergency Management Administration, Hurricane Harvey, Hurricane Irma, Hurricane Sandy, National Aeronautics and Space Administration, National Oceanographic and Atmospheric Administration, societal collapse, The Great Flood.